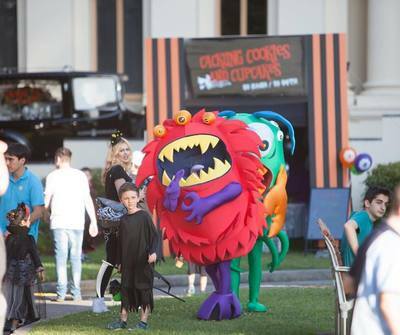 There's strange happenings going on in Melbourne this month, with the return of the Spooktober Halloween Festival, which kicks off on Friday 28 October at St Kilda Town Hall. The event's partner Australia’s iconic sherbet, Wizz Fizz, presents four days of spooky fun for grown-ups and kids, too. Onsite trick or treat trail (with every child receiving a complimentary Wizz Fizz goody bag). For extra special Halloween fun, there is an opportunity to book your very own Spooky marquee on the festival grounds to host a Halloween experience like no other. Perfect for kids birthday parties, the marquee will be decorated in all things Halloween. 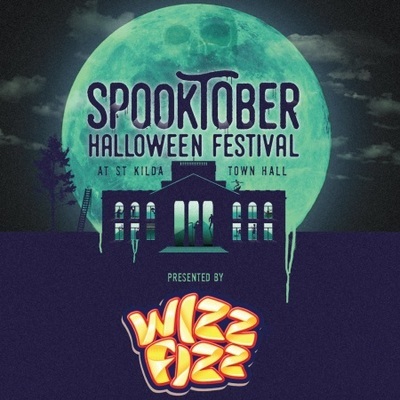 “We work hard all year round to create the event and we’re really excited to see how people will react to the two Haunted House attractions and Melbourne’s safest Trick or Treat Trail, stocked with complimentary Wizz Fizz treats, at one venue this year.” Spooktober organiser, Dale Pope, says. When: Friday 28 - Monday 31 October 2016.